Mike Phillips, OWTFA executive director presents the Ontario Construction Report Provincial Award of Excellence to Rick Brouckxon of LP Building Products. 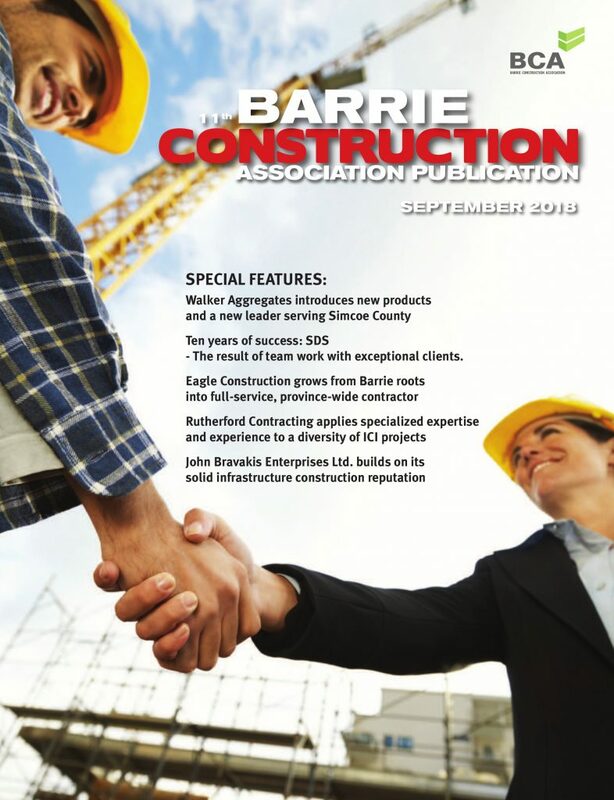 Members of the The Ontario Wood Truss Fabricators Association (OWFTA) gathered recently for the association’s 31st annual general meeting at the Fallsview Casino Resort in Niagara falls. 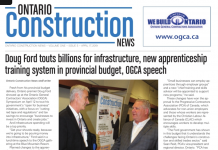 “Leaders of the Ontario truss and engineered wood industry meet to elect new leadership for the association and discuss future directions for the industry including an expanded national Quality Control program and new developments in wood construction such as 5 and 6 story mid-rise buildings,” said OWFTA executive director Mike Phillips. 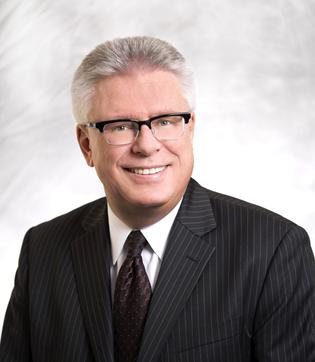 The association’s new executive leadership has Mark Fox of Terra Nova Truss as president, Gary Lalonde of Locke Truss as treasurer and Marvin Wight of Simpson Strong-Tie as secretary. Max Torossi, WoodWorks presents their Wood Champion Award to Steve Boyd of Quaile Engineering. 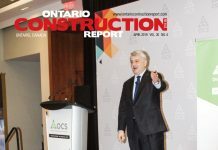 Rick Brouckxon of LP Building Products received the Ontario Construction Report Provincial Award of Excellence for his work as the steering committee chair for Ontario WoodWorks and his contributions as director of the OWFTA in support of wood construction.